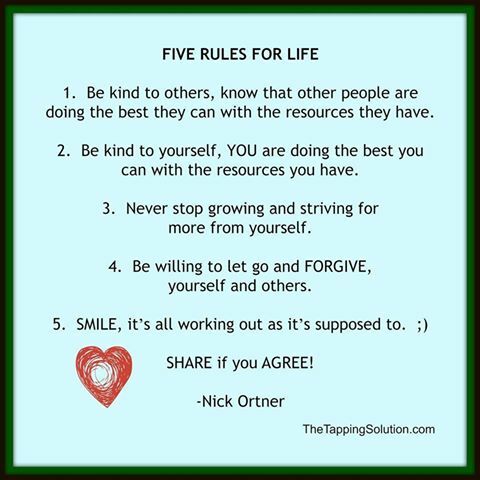 Be kind to others, know that other people are doing the best they can with the resources they have. 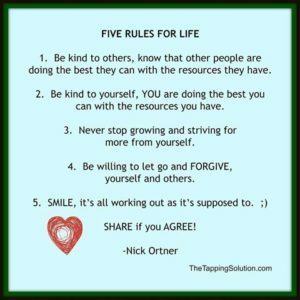 Be kind to yourself, YOU are doing the best you can with the resources you have. Never stop growing and striving for more from yourself. Be willing to let go and FORGIVE yourself and others. SMILE, it’s all working out as it’s supposed to. and secure, keeps you feeling in love with life. on all subjects will flow to you. 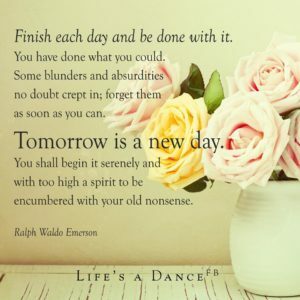 “Finish each day and be done with it. These are such empowering and comforting words. If only we could actually leave each old day behind and start a completely new day every morning – how happy and fulfilled we all would be. It is so often the lingering queries and questions of the day before that haunts us throughout our next day and week. What other people say to us and about us. The things people do that are dishonest and unkind. 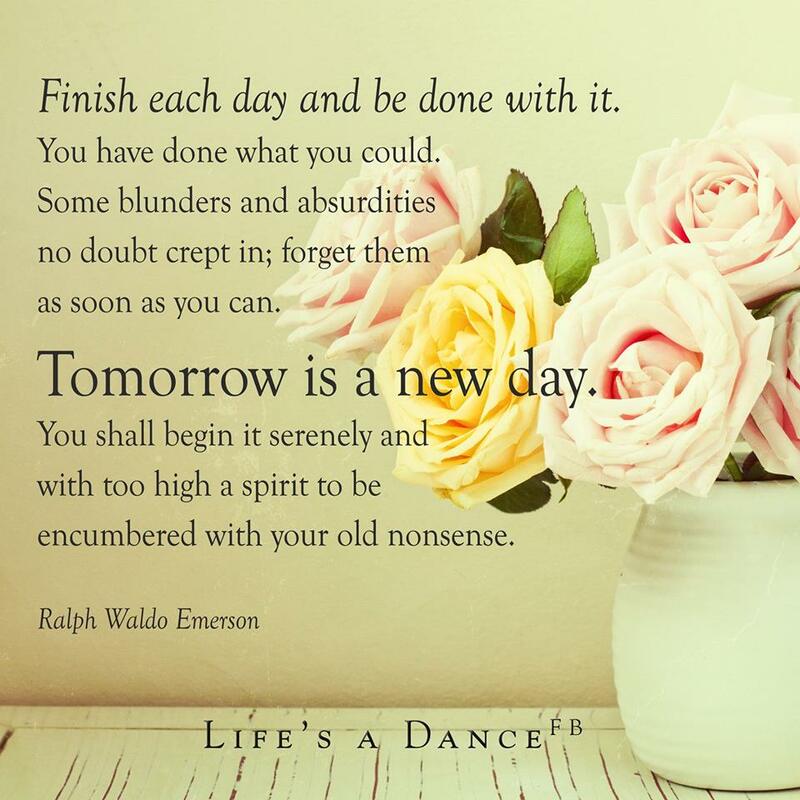 Some days there is so much to let go of, and yet when thinking about it as Mr. Emerson states, it is really only “old nonsense”. just do what you can to realize that no one is perfect and a life that is 100% positive leaves no room for lessons to be learned. Your spirits are too high to hold on to the past and be encumbered by it. and grow. I am SAFE. 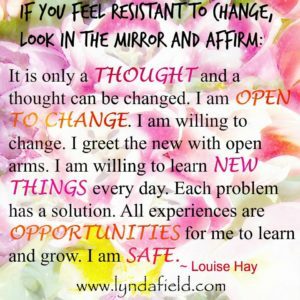 If you feel resistant to change, look within yourself to try to figure out why. Is it something you disagree with internally, or something you have been taught to disagree with? 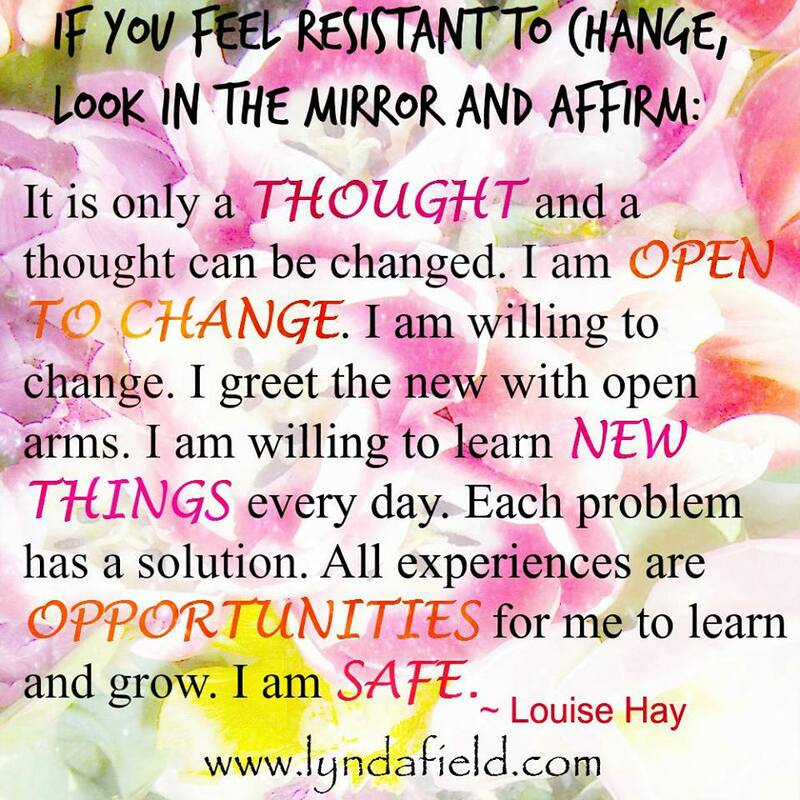 They can be changed and altered as you learn new things or are influenced by different things that allow you to see things in a new expanded way. Be willing to learn new things and ways of doing things. Each problem has a solution. Don’t waste too much time trying to fix a problem. Usually solutions come when they are least expected, and in unexpected ways. Just give it some time. Everything is an opportunity to learn something new, so practice feeling safe and enjoy your life. 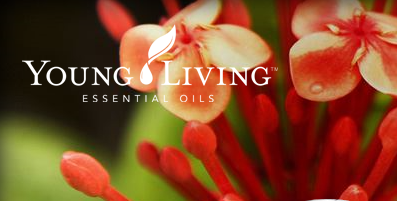 Increase your energy by relaxing into life and learning to love yourself more every day. 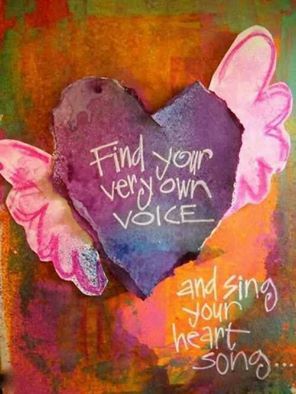 Find your very own voice. for hours without even thinking about it. even noticing it going by. And then find a way to express it to the world. Whether it be by writing a song or singing a song, or playing a song on a guitar or piano. Or maybe your thing is dancing or swimming, or playing baseball. with the world in the best way possible. can happen in a month. can happen in a year. 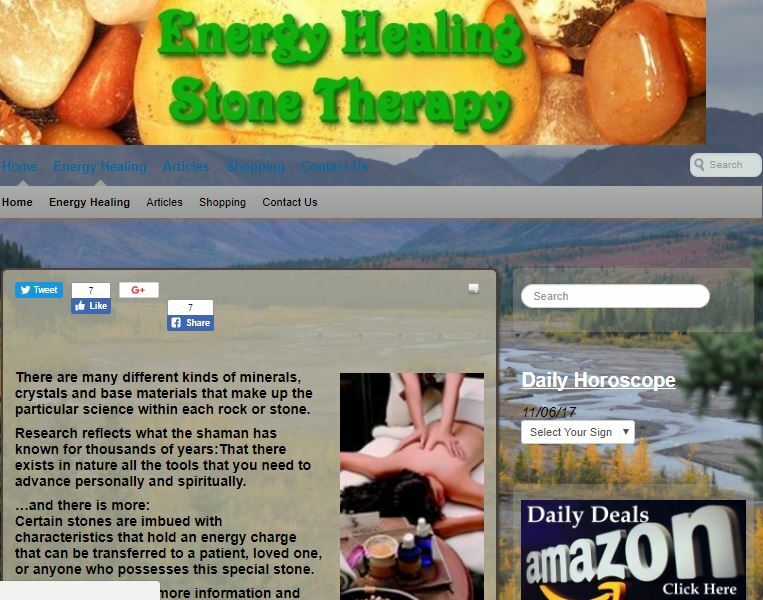 It will help you successfully complete this task if you know a few things about how to meditate or use some of the current relaxation techniques like deep breathing. 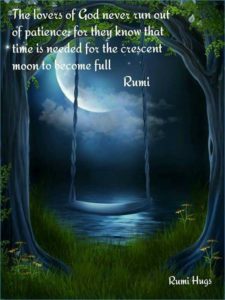 Then you can practice these techniques to help you stay in the present moment or in the “now” moment as you begin your 24 hour adventure. 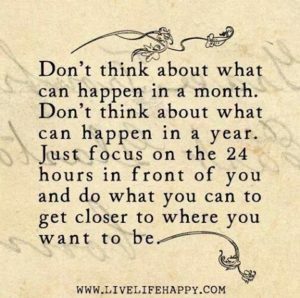 Focus on those 24 hours and do whatever you can do to get closer to where you want to be. The concentrated focus will help you seek out and find what it is in your heart and mind that you really want. 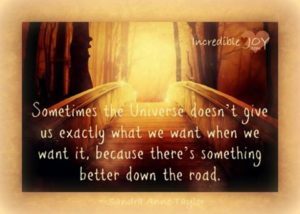 Once you know what you want, you can proceed to the next step of figuring out how to get what it is that you really want. There is always a process or procedure to granting your success. It may take more education or learning new things to be able to get where you want to go, but it is always a possibility. 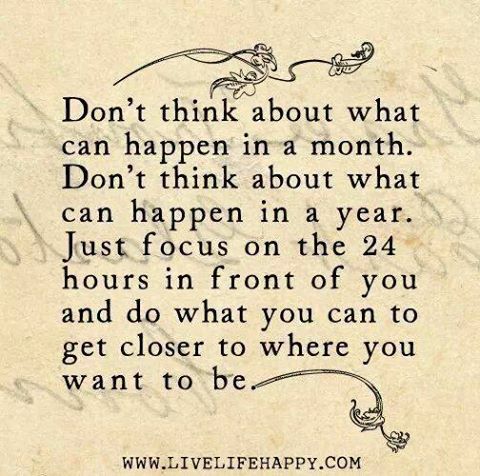 It may even take extra time and patience to achieve your new goals whatever they may be. Just give yourself the time you need and take one step after another until you actually reach that precious place where you want to be in life. Sometimes the Universe doesn’t give us exactly what we want when we want it, because there’s something better down the road. It’s only in hind site that you realize how fortunate you are that some things didn’t turn out the way you wanted them to. You see what a disaster certain people’s lives turned out to be, for example. And even though you really wanted to be a part of them and their life, your life would also be a disaster if you would have ended up in their circle. Sometimes it’s actually saving grace that keeps things from turning out the way you want it to. After a certain length of time when you look back and see how crazy things actually were, the saving grace appears out of no where, and you are so thankful that the crazy person left you behind and moved on to someone else. The past cannot be changed. Opinions don’t define your reality. Things always get better with time. Judgements are a confession of character. Overthinking will lead to sadness. Positive thoughts create positive things. 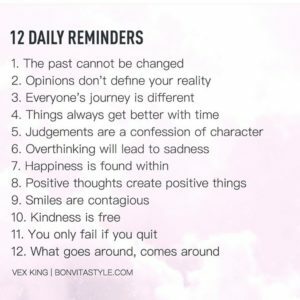 These daily reminders hold a lot of wisdom and some interesting and important things to think about. If they could be thought about and practiced every day life would be pretty awesome – wouldn’t it? With this fundamental advice alone, the world would change considerably. 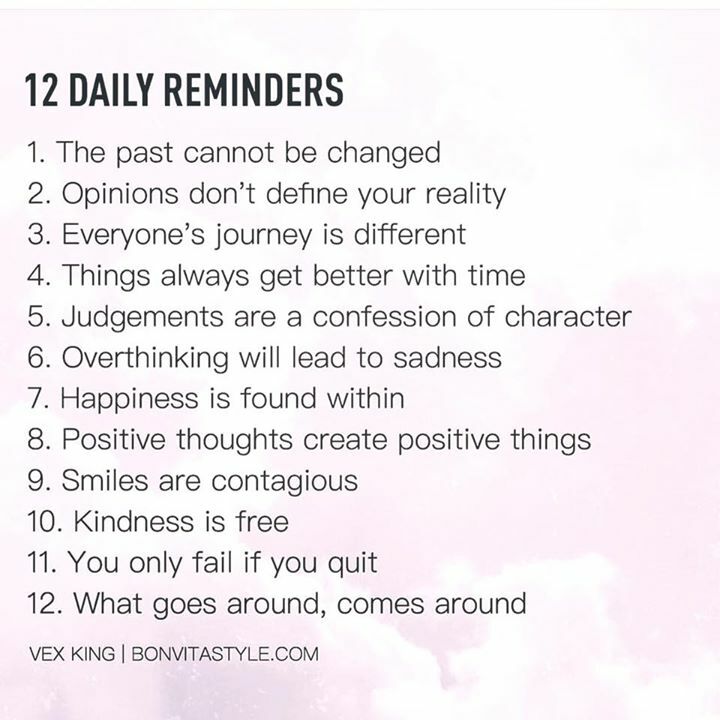 Think about putting these reminders into practice yourself and see how good your life can become. 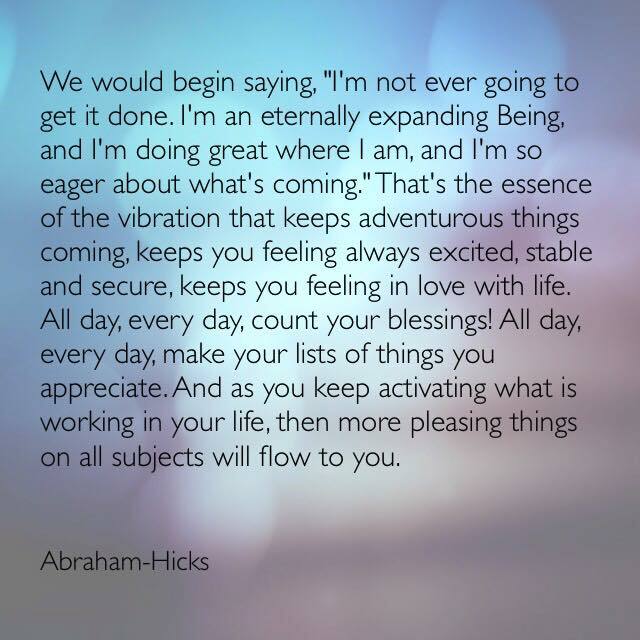 Everything takes time to come to fulfillment. Sometimes it seems like slow moving molasses waiting for your desires to come to fruition. And yet you know that it does take time for the moon to become full. It is on it’s own schedule and there is nothing you can do to hurry it along. So you might as well be patient yourself. start a new chapter in my life. the people that surround you. They have become so deceitful that you really don’t even know who they are any more. Or maybe you never did. Never the less, it is time for a change. 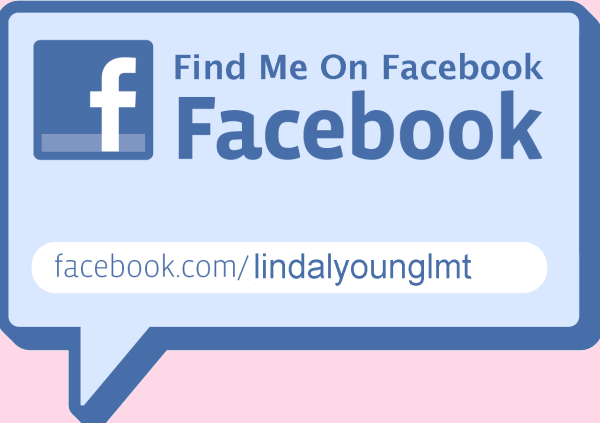 Time to start a new life with new friends that are loving and supportive. 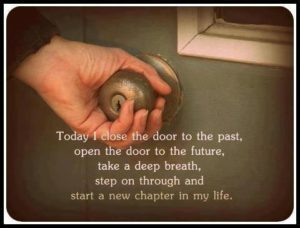 Time to finally close the door to the past and step on through and let a new life begin. One step at a time. One day at a time. One chapter at a time.